Are you visiting a country where tipping is expected, appreciated in special circumstances—or actually considered insulting? Avoid potential embarrassment or confusion by using this essential guide to tipping around the world to study up before you go! When it comes to tipping while traveling, even seasoned globetrotters can get confused. 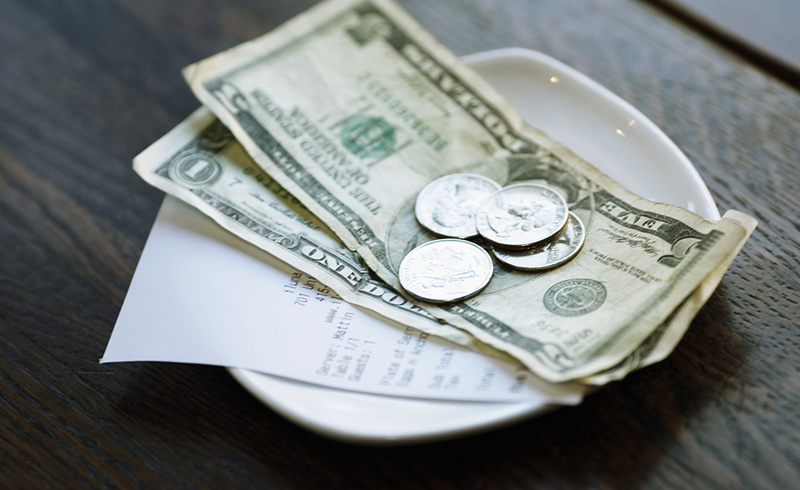 Like culture and cuisine, tipping etiquette differs greatly between countries. But don’t stress—we’ve spelled out when and where the practice is appropriate. Read on for gratuity guidelines in eight of the world’s most popular travel destinations. Restaurants: Generally speaking, tipping in the UK is not as generous as it is in the United States, primarily because waiters must be paid the national minimum wage by the restaurants they work for. That said it’s customary to leave a 10 - 15 percent tip at the end of a meal. Some restaurants automatically add an optional service charge (typically 12.5 percent) to your bill; be sure to check for this fee so you don’t end up tipping twice! Coffee Shops: It’s not necessary to leave a tip for your barista. There may be a tip jar on the counter, but don’t feel obligated to leave your change. Bars and Pubs: Patrons don’t traditionally tip in bars or pubs in the UK, but you can show appreciation by saying “and have one yourself” to an especially helpful barman. He will then either join you for a drink or put aside the cash for later. Hotels: Tip porters 1-2 pounds per bag and housekeepers 1-2 pounds per day. Additionally, some hotels in the UK add on a 10-15 percent service charge as part of your bill. Taxis: While it is not necessary to tip in taxis, most travelers round up to the next pound when paying the fare and simply tell the driver to keep the change. When traveling to the airport, or if your cabbie helps with your luggage, it may be appropriate to tip a bit more. Restaurants: As in many European countries, tipping waiters is neither customary nor expected in Italy, but it can be a much-appreciated reward for a job well done. Leave no more than 10 percent of the bill, and make sure to check for a service charge so you don’t end up paying twice. Hotels: Tip porters a Euro or two per bag, and if you’re so inclined, leave a well-marked envelope with a few Euros in it for housekeeping. Taxis: Simply round up to the nearest Euro, unless the driver assists you with your luggage. Gondoliers: Taking a gondola ride is an exciting (and expensive) way to see the sights of Venice. There’s no need to pay your gondolier an additional tip, unless they went above and beyond in some way (like singing your favorite Italian tune!). Restaurants and Hotels: Most restaurants, bars, and hotels in Dubai include a service charge of 10 to 15 percent of the bill. However, this fee often goes directly to the owners of the establishment. Feel free to hand waiters an additional 5 AED (United Arab Emirates Dirham). Porters should also receive an additional tip of 10 AED for assisting with luggage. Taxis: Cab drivers do not expect a tip, but rounding up to the next AED note is good practice. Japan is largely a non-tipping society, and leaving gratuity is sometimes considered to be rude. However, there are a few exceptions. For tour guides, a 2,500 yen gratuity should be more than sufficient. And, when staying in a high-end ryokan, or traditional Japanese inn, some travelers leave a tip of between 1,000 and 5,000 yen for the room attendant. If you do choose to tip, do it at the beginning of your stay, and present the money as a gift in an envelope, instead of pulling bills out of your wallet. Restaurants: Brazilian restaurants routinely apply a 10 percent servico charge to the bill. No additional tip is required. Hotels: Give porters $1-2 per bag and leave housekeeping a few dollars per day, and leave your bills in a well-marked envelope. American dollars are not only accepted as tipping currency in Brazil, but they are encouraged due to the favorable exchange rate. Taxis: Simply round up to the nearest real or dollar. Bars: The bill for your bar tab may not include a service charge. In that case, tip 10 percent. 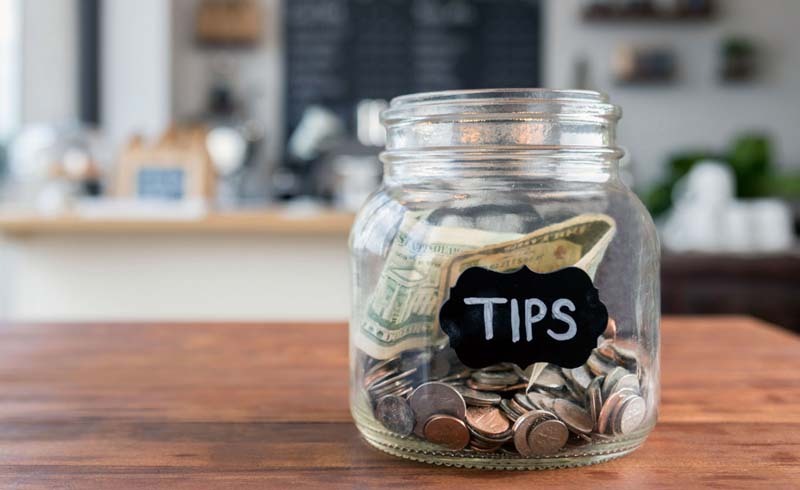 Restaurants: Historically, tipping was not the norm in Australia, but in recent years the practice of leaving a 10-15 percent tip at the end of a meal has become increasingly popular. Also, large groups may be charged a mandatory service fee. Hotels: Tipping in hotels is fairly uncommon, but giving porters a small tip for carrying luggage, perhaps a dollar or two, is a welcome gesture of thanks. Taxis: Round the fair up to the nearest $5 bill. Bars: Simply tell the bartender to keep the change, or leave it on the bar. Restaurants: In modest restaurants, a tip isn’t necessary, but your waiter would appreciate a small gratuity of 5 percent. At higher end restaurants, a 10 percent tip is sufficient. It should be noted that all tips must be left in cash, as they cannot be added to a credit card bill. Additionally, some restaurants have wandering musicians who play for tips. If you aren’t interested in hearing them perform, wave them off, but if you allow them to play a few songs, it is customary to tuck a 5 Lira note into the pocket of one of the players. Liras are the preferred currency in Turkey, but foreign monies like the Euro and dollar are also accepted. Taxis: Taxi drivers in Turkey do not expect to be tipped, but it is common practice to round up to the next note. Bars: A 5-10 percent tip on the total bar tab is common in Turkey. Turkish Baths: Should you splurge on a massage in one of the famous Turkish baths, give your masseur either $10 or a 10 percent tip, whichever is greater. And if you have multiple attendants, split a 15 percent gratuity between them. If you need a bit of a refresher on tipping customs in the United States, look no further. Restaurants: Patrons typically leave between 15 and 20 percent of the pre-tax bill as a gratuity. For extremely poor service, a 10 percent tip is appropriate. Hotels: Give your bellhop a dollar or two per bag, and leave housekeeping $2-5 per night with a note indicating that the money is for the maid. If a doorman helps you call a cab, one dollar is an appropriate thank you. Should the concierge help you with a ticket or reservation request, tip $10-15 or 10-15 percent of the ticket price. Taxis: How much one should tip a cabbie varies by location in the United States, but 15 percent of the fare is considered adequate in any situation. Bars: Tip the bartender $1-2 per drink or 15-20 percent of the tab. Of course, these are only guidelines, and there are exceptions to every rule. When in doubt, ask a local or your hotel concierge!